Below you fill find all funeral homes and cemeteries in or near Curwensville. 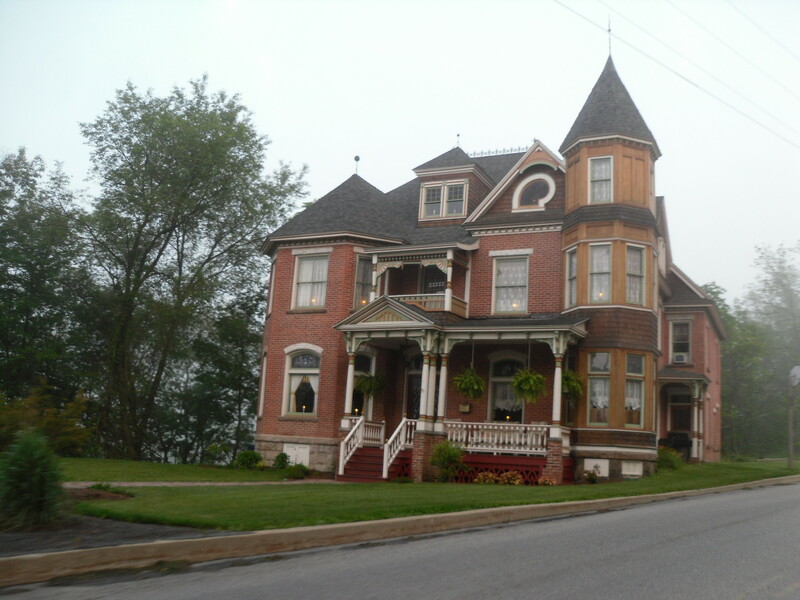 Curwensville is also known as: Clearfield County / Curwensville borough. Their current mayor is Mayor Thomas E. Carfley. Zip codes in the city: 16833. Some of the notable people born here have been: (al young (politician)), and (john patton and jr.). It was reported by Cincinnati Enquirer and Cincinnati Post on September 28th, 2018 that Jean Kemper Massey (Ardary) passed away in Cincinnati, Ohio. Ms. Massey was 90 years old and was born in Curwensville, PA. Send flowers to share your condolences and honor Jean Kemper's life. It was revealed by Orlando Sentinel on June 28th, 2018 that Ruth Vaughn (Hauck) perished in Florida. Ms. Vaughn was 86 years old and was born in Curwensville, PA. Send flowers to express your sorrow and honor Ruth's life. It was noted on January 26th, 2018 that John A Jr Lansberry passed on in Niagara Falls, New York. Lansberry was 79 years old and was born in Curwensville, PA. Send flowers to express your sympathy and honor John A Jr's life. It was disclosed on July 12th, 2017 that Lewis Richard Kline passed on in Lewiston, New York. Kline was 82 years old and was born in Curwensville, PA. Send flowers to share your condolences and honor Lewis Richard's life. It was revealed by Johnstown Tribune-Democrat on August 2nd, 2016 that William J "Bill" Benamati passed on in Curwensville, Pennsylvania. Benamati was 47 years old. Send flowers to share your condolences and honor William J "Bill"'s life. It was revealed by Star Beacon on October 8th, 2015 that Verna R Tome (McCracken) passed away in Geneva, Ohio. Ms. Tome was 78 years old and was born in Curwensville, PA. Send flowers to express your sympathy and honor Verna R's life. It was reported by Topeka Capital-Journal on September 9th, 2015 that Harry E Peoples passed away in Topeka, Kansas. Peoples was 72 years old and was born in Curwensville, PA. Send flowers to express your sympathy and honor Harry E's life. It was revealed on August 14th, 2015 that Helen L Bellina (Babb) perished in Lockport, New York. Ms. Bellina was 75 years old and was born in Curwensville, PA. Send flowers to share your condolences and honor Helen L's life. It was revealed on February 25th, 2015 that Isabelle Wilkinson (Bailey) perished in Punta Gorda, Florida. Ms. Wilkinson was 84 years old and was born in Curwensville, PA. Send flowers to share your condolences and honor Isabelle's life. It was written by Ocala Star Banner on September 11th, 2014 that Frank Edward Bennett passed on in Ocala, Florida. Bennett was 89 years old and was born in Curwensville, PA. Send flowers to express your sympathy and honor Frank Edward's life. As of the 2000 US census, the borough had a total population of 2,650. Curwensville is a borough located in Clearfield County, Pennsylvaniain the United States of America, 34 miles (55 km) northwest of Altoona, Pennsylvania on the West Branch Susquehanna River. In 1900, 1,937 people lived in the borough, and in 1910, 2,549 lived there. Coal mining, tanning, and the manufacture of fire bricks were the industries at the turn of the 20th century. . The official website for the city of Curwensville is http://curwensvilleborough.com. Chidboy Funeral Home 300 State Street Curwensville, PA 16833. The Chester C. Chidboy Funeral Home, Inc. of Curwensville is in charge of the arrangements. Here are the results for funeral homes in Curwensville Pennsylvania. You can find some of the best funeral homes businesses serving Curwensville. Listing all funeral homes in Curwensville, Pennsylvania so you can easily send flowers to any location (same day delivery) or find any funeral service. Listing all cemeteries in Curwensville, Pennsylvania so you can easily send flowers to any location (same day delivery) or find any funeral service. We work with local florists and flower shops to offer same day delivery. You will find budget sympathy flowers in Curwensville here. Our funeral flowers are cheap in price but not in value.